A felicitation ceremony was organized at Govt. Boys Senior Secondary School, Keshav Puram ,No-2 to acknowledge the school and Physical Education Teacher Mr. V.S Rana on 27th Dec 2018 for imparting the sportsmanship among the students. 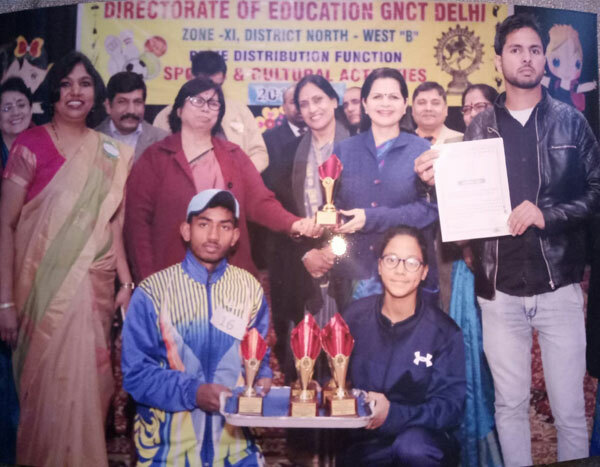 The Chief guests DDE Zone XI Ms. Richa kalra, SPE Ms. Pushpa Ratnam and DDE Ms. Shashi Bala Saini honored the students with trophies and medals and applauded Principal Madam Mrs. Rooma Pathak and Physical Education Teacher Mr. V.S Rana with the appreciation certificate. A Cultural programe was also organized for motivating and appreciating children for their outstanding result in different sports throughout the year. All in all ceremony inspired and motivated the students.